Set against backdrops of Italy, Ireland, England and Spain, ‘Living in Bright Shadows’ is a novel in which family members of four generations struggle unwittingly to overcome a 19th century curse placed by a disgruntled servant. The Fusciardis, who travelled from Italy to Ireland at the tail-end of the 19th Century, the Devlins living in Belfast and London from the ‘40s to the ‘90s, and the Buchanan-Trees in Spain in current time. Spanning four generations, the stories twist and tumble around the lives and families of two estranged sisters, Isabella and Sofia Fusciardi. Love and loss, deceit, ignorance and childhood trauma link seven stand-alone but interlinked stories; based on dark and complex aspects of human relationships within families. My start was grim; I felt within a growing sense of dread. Though Mama knew I was coming through, I almost fell off the bed. What was this place? Whose was the face of the angel that seemed to hover? It spoke my name but all the same, I felt my life was over. So off I went and in time I learnt to say and do the expected. Who could foresee of what I’d be when all around was infected? Those rules of life, so strange and rife with multi-cultural leaning – I didn’t know they could hurt me so, the rules that had no meaning. A place of fear, a time less clear brought me to look around me. Suppose my end, I could suspend in a country that might astound me? And so I came, three bags to my name, and landed like a winner. I loved the place, the smiling face of a city like a sinner. Some times were tough, some really rough as survival mode kicked-in. But then one day, I’m pleased to say, I woke up with a grin. I realized behind my eyes was a vision of a future. A part of Spain I’d loved in vain, that old haunt – Andalusia. From long ago when I’d dipped my toe into travels far and yonder, this part of Spain called again and again; the city of the Ronda. But now I know the path to go to take me to my homeland. The friends I made will never fade, tied tight round my heart like a band. 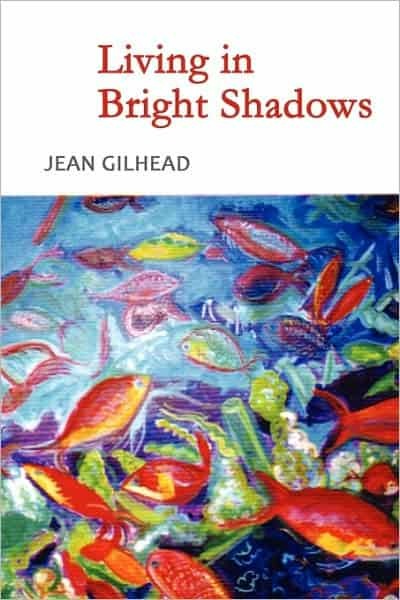 Originally from Richmond, near London, Life Coach, Teacher and self-taught Writer, Jean Gilhead started work in the world of advertising. She moved on to study interior design and then feng shui, eventually running a successful practice in London, harmonizing and balancing work and living environments. 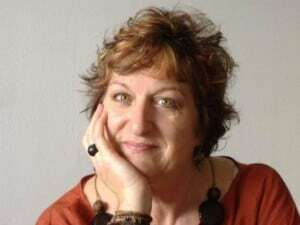 Jean also ran an image consultancy, advising individuals and companies on all aspects of presentation and public speaking, offering courses on self-improvement and confidence building for employees and outplacements of companies, and giving corporate talks and seminars for small and large groups. After winning a writing competition through the Arts Council of Great Britain, ‘Living in Bright Shadows’ was published in 2008. It is available in paperback and e-book format, in both English and Spanish, from Amazon sites worldwide – as are her two feng shui e-guides.